Estate Planning Myths…What You Really Need to Know in Virginia | Melone Law, P.C. According to a Forbes article, at least 51 percent of Americans between the ages of 55 and 64 don’t have a will. That number is even higher among those between the ages of 45 and 54, at 62 percent. Perhaps one reason these numbers are so high is due to the number of myths and misunderstandings associated with estate planning. If your estate goes through probate, that probate could cost your heirs a considerable amount of money and can cause the process to drag on for months and months, or even years. There are certain costs associated with probate, such as court filing fees, attorney’s fees and certain miscellaneous costs, however attempting to avoid probate can also result in costs. Your Virginia estate planning attorney can tell you the pros and cons of probate as opposed to other possible options that avoid probate. Generally speaking, a simple probate can last from six to 18 months. The costs associated with the probate process are typically about 2-5 percent of the value of the estate, although this can vary significantly. The government will seize all your assets if you die without a will. This is absolutely not true. State law will dictate how your assets are divided among your heirs. Should you have absolutely no living relatives—even a third cousin twice removed—then your assets will go to the state of Virginia. You can avoid this scenario by ensuring you have a comprehensive Virginia estate plan in place. A trust will significantly reduce the costs associated with probate. While a trust does not require probate, therefore there are no direct probate costs, a trust can have a higher upfront and maintenance cost. When set up to provide financial distributions over a period of time, there will be additional tax preparation fees, and probably additional attorney’s fees as well. Estate taxes—also known as “death taxes”—are unfair. You may have heard that when you die, the government will tax money you’ve already paid taxes on. While this could be true in certain instances, more often it is not. Most estate taxes are imposed on income on which you have not previously paid taxes. By engaging in estate planning, you have protected your assets. It is important to understand that estate planning is not asset protection, and even a family trust will not protect your assets from business risks and lawsuits. Only the very wealthy need an estate plan. Absolutely not true! If you have any assets at all, you could benefit from an estate plan. 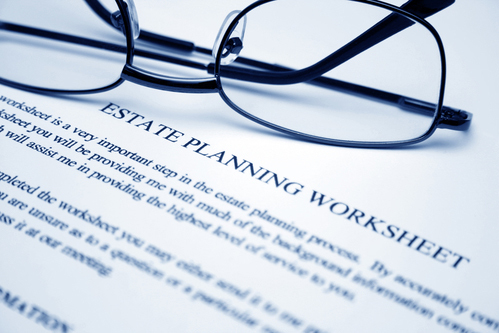 Furthermore, an estate plan is not only for leaving your assets to those you choose. Estate plans also ensure your finances and health care decisions will be taken care of as you would wish in the event you become incapacitated, and that your children will have a guardian of your choice in the event of your death. You think you are too young for an estate plan. Of course, no one ever wants to think about a tragedy happening to a relatively young person, but, unfortunately, they do occur. By the time you actually need an estate plan, it could be too late, no matter your age. Take the time now to speak with an experienced Virginia estate planning attorney at Melone Law, P.C. to ensure those you love will be well-taken care of in the event of your death or incapacity. Contact us today to learn more.